Some people often feel discouraged to hire a professional plumber because they prefer fixing the problem by themselves. However, this is a very risky decision because plumbing involves a very complex process. There are plenty of reasons why you need to hire a professional plumber instead of using a DIY solution. One of the most significant benefits you can receive is hiring an individual who is fully capable of fixing the problem. They have had years of experience in the industry dealing with various types of plumbing issues. They have also been certified to be equipped with the necessary knowledge to complete the job efficiently. Additionally, professional plumbers have invested a lot of time and effort to specialize in their field of expertise. This means that you’ll be able to achieve the best results when you hire a professional to perform the job. Getting expert advice is the best decision you can make because it will save you a lot of time, effort and money. You are guaranteed to achieve your desired results if you hire the services of a professional plumbing company. Here are some of the top Benefits of Hiring A Professional Plumber. There is a high chance that if you’re not a professional plumber, you wouldn’t be able to complete the task efficiently. Although you may know how to complete some parts of the plumbing process, it’s still different when it’s completed by a professional. This is mainly because plumbing problems are often very difficult to diagnose. As a result, you may think that the problem is only a simple one but it may actually have an underlying problem that could only be identified by a professional plumber. The plumber will be able to diagnose the problem accurately which ensures that the issue will be completely fixed. He will also be able to provide the most relevant solutions by using the correct types of repair. Homeowners usually perform temporary repairs on their plumbing issues because they don’t want to spend the money on hiring a professional plumber. Most of the time, your drain may require constant attention or several pipes in your home are continuously leaking. The homeowner usually makes use of a pipe snake in an attempt to unclog the drain and fix the problem. He may also try replacing the pipe by working on one section at a time. Even though these steps may fix the issue temporarily, it doesn’t completely solve the problem. 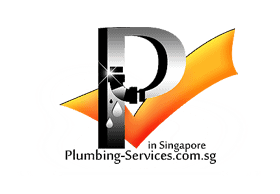 Only a professional plumber can provide you the expertise you require in permanently eliminating your plumbing problems. He will be able to look at each issues separately and also look at them as a whole. As a result, you will never have to stress about the issues again in the future. Most people are not aware that standing water causes mold. As you know, mold can be very dangerous to your health. Black mold may cause serious respiratory illnesses to the occupants of your home. The worst part is that once you have developed the condition, it is irreversible and you may have it for the rest of your life. This is mainly because standing water contains various types of harmful contaminants such as bacteria, germs and fungus. It’s always best to keep in mind that whatever goes into your lungs would never come out. This means that once you inhale black molds that contain fungus, germs and bacteria they would remain in your system all throughout your life. Contacting a professional plumber is extremely important for the benefit of your health. If you choose to do DIY project on your plumbing issue, there is no guarantee behind the work you’ve completed. This means that the time, money and effort that you’ve put into fixing the problem could actually all go to waste. It can be very exhausting to repeat the same process over and over again just to solve the issue. Additionally, you may have to invest in additional supplies to ensure that the damage wouldn’t spread any further. By hiring a professional plumbing company, you will be able to have the guarantee of the work they’ll be hired to complete. This means that within the guarantee period, you will be able to contact the plumbing company and have them fix the issue. One of the biggest advantages of hiring a professional plumber is that they have the latest plumbing equipment on hand. Since they only make use of high quality and technologically advanced equipment, you can be rest assured that the job will be completed efficiently. 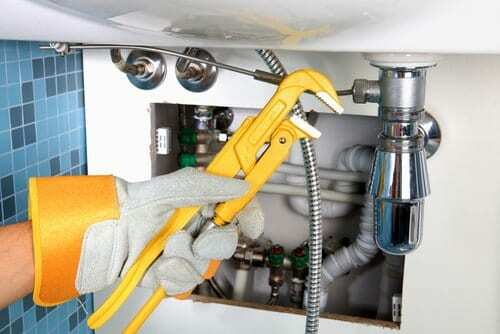 A professional plumber is skilled and certified in handling even the most difficult plumbing problems. Whether you’re experiencing a standard problem such as leakages and flowing water or you’re experiencing more complicated issues, a professional plumber will be able to help you. This will ensure that the problem will be solved accordingly. If you decide to do a DIY project to fix your plumbing problem, you will be putting yourself at risk of having a recurring issue. This could potentially worsen the current plumbing problem which would result in more costly expenses. A professional plumbing company has the highest level of expertise in the field. Their plumbers are equipped with the experience and knowledge on how to handle any type of plumbing problems. They cater to various types of services such as repairing various types of leakages, installing pipelines, installing home appliances, fixing toilet problems, unclogging bathtubs, fixing a water softener, replacing a shutoff valve and many more. 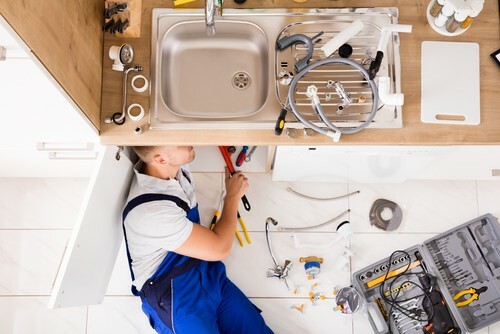 If you want to ensure that you wouldn’t be wasting your time, money and effort in fixing your plumbing problem, it’s best to hire a professional plumber. Keep in mind that performing a DIY solution could make the problem even worse. This means that you’ll end up spending more money than expected. If you want to experience a completely hassle free transaction, make sure to hire a trusted professional service company who are experts in the field.